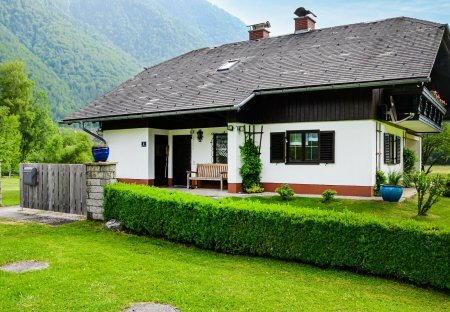 Rent apartments and chalets in Upper Austria, Austria. Book affordable holiday rentals that are near a golf course. 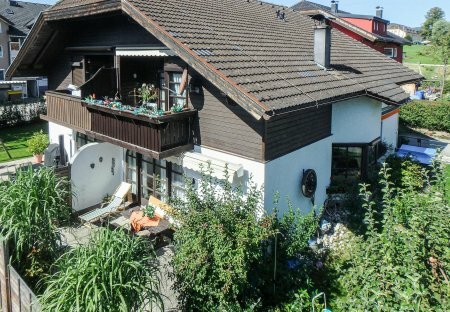 This gorgeous holiday home is located on the foot of the Dachstein Mountains in the centre of Salzkammergut. This quiet semi-detached house is decorated in cosy, country house style with a spacious garden and two terraces. The ground floor includes a living and dining area, with a tiled stove. This seemingly comfortable holiday home invites you to explore the Traunsee Lake and its surroundings. The quiet neighbourhood on the edge of the forest provides relaxation from everyday stress. The rustic self-catering cabin situated on a plateau and can accommodate up to 14 people.